On 14th November, 2014 (on occasion of Children's Day) Government of india has planned some programme on Children, here is glimpse of 14th November programme. Feeling proud to be a part of India! Recently, our honorable Prime Minister Narendra modi ji has launched the “Swachh Bharat Mission”. It is a great initiative by our prime minister to endorse practice of cleanliness in the country. Let’s know more about it. Newly, the centre has decided to take some steps to embrace school-children in this campaign through “Bal Swachhta Mission”. Moreover, the programme will be launched on the 14th November 2014. As our PM launched the swachh bharat mission on 2nd October 2014, centre will launch the “Bal Swachhta Mission” on 14th November 2014. It is a birth anniversary of pandit Jawaharlal Nehru which is celebrated as a children day. 2nd October is a birth anniversary of Mahatma Gandhi ji. Now, again one more beautiful thing is going to happen on 14th November 2014. It is believed that children can play a vital role in achieving the swachh bharat mission by the year 2019. The official said that “If we motivate children to keep themselves clean and their homes, schools, and surroundings then they will contribute towards improving sanitation as well as will become ambassadors of cleanliness in their homes and communities”. The centre has suggested six themes for bal swachhta mission. Clean schools and anganwadis, clean surroundings, clean self (personal hygiene/child health), clean food, clean drinking water, and clean toilets are the six main themes. Moreover, all the states are asked to focus on any one of these themes on each day of week. Beginning of the program is from 14th November 2014 and will end on 19th November 2014. 19th November 2014 is a birth anniversary of Indira Gandhi. 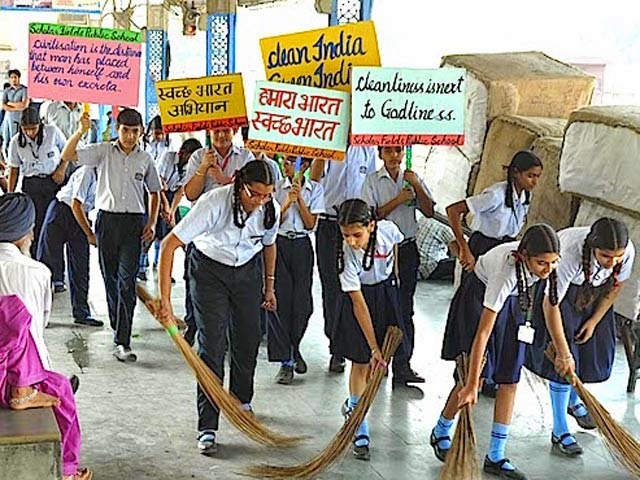 Furthermore, narendra modi ji has announced that government will run a cleanliness program in each school of India from 14th November to 19th November 2014. What are you up to? What do you think about the swachh bharat mission? Do you think children will play a great role to promote cleanliness everywhere? Please do share your valuable thoughts here and let the swachh bharat mission to be completed till 2019!